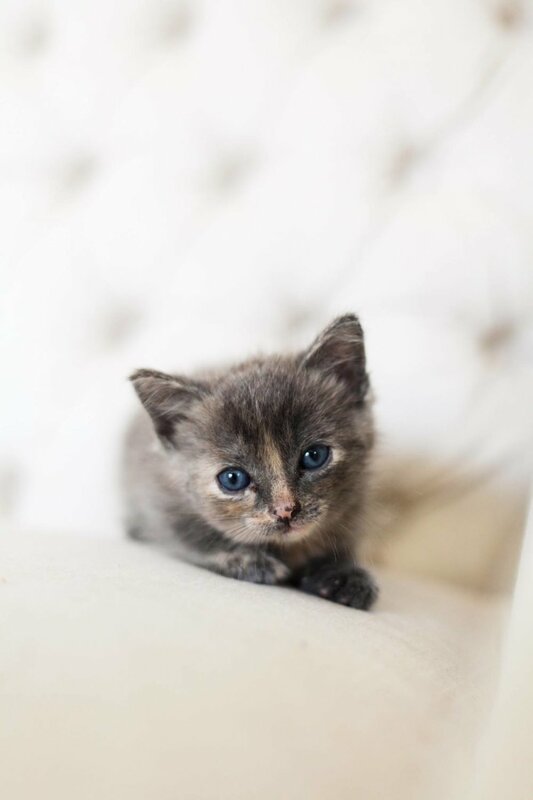 September 10th 2015, the world's smallest rescue kitten came into our lives. Amelia Earhart Johnson was only 3 weeks old when another wedding photographer friend had found her on the way to a wedding that I was a bridesmaid in. She showed me a few photos of the cute kitten that had stumbled from a box and started causing traffic on a main road. Later that evening Josiah David and I decided we would look at the kitten. As soon as my friend placed her in our hands, we were in love. She was, and is, the most curious cat we've ever met. She loves being held, having her tummy rubbed, and getting wet in the sink. We started fostering kittens from the Lynchburg Humane Society in 2016, and we love taking care of new little families. At first, Amelia was not keen on the idea. Now, she makes best friends with the new moms and helps the kittens navigate around our little ranch home. Kittens are adorable, but require plenty of work, love and care each time we take in a new litter. We love volunteering!